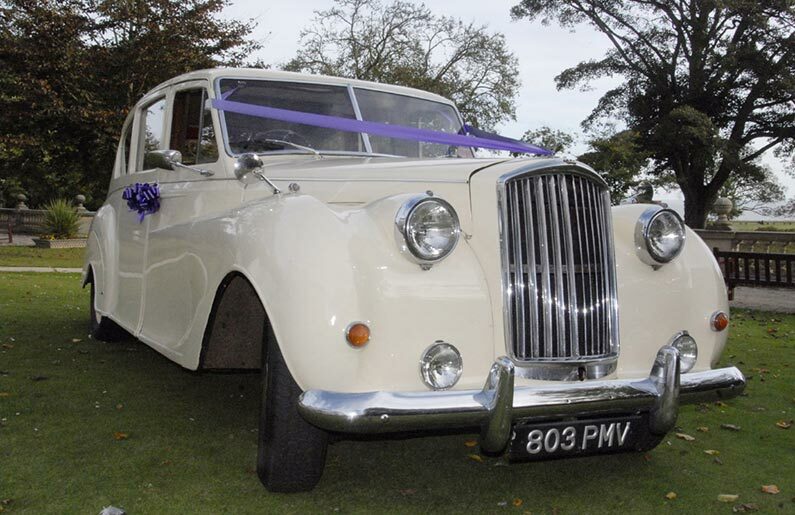 The latest addition to our fleet is the Vanden Plas bodied Austin Princess. 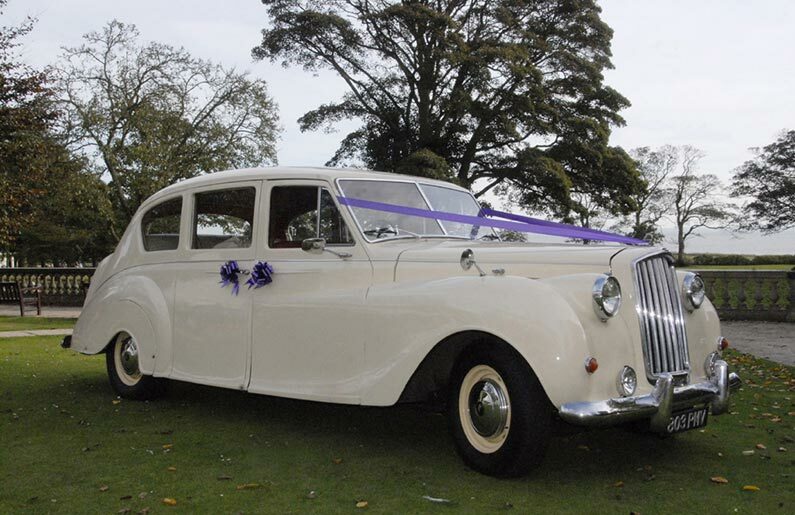 Built to rival Rolls Royce and Bentley models, most were used for civic duties and embassies. 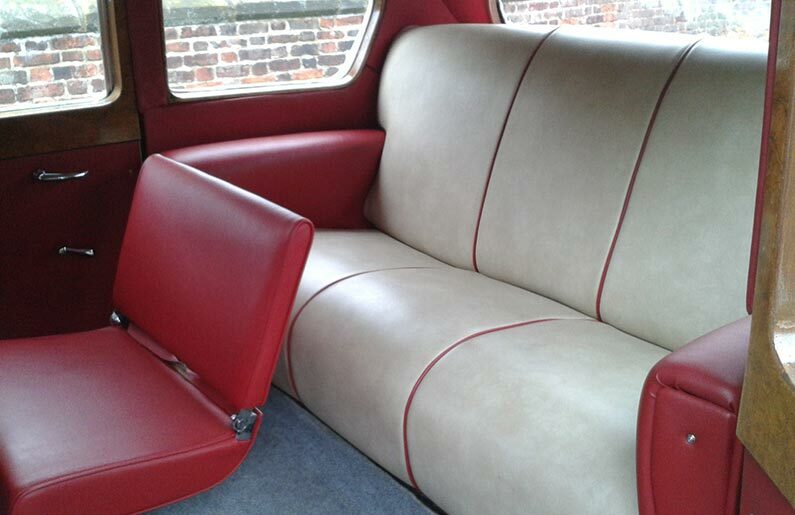 At over twenty feet long and finished in cream with a contrasting interior you will certainly be seen in this car. The ‘suicide’ doors make getting in and out very much easier than in a modern car. Using the fold away seats, you can comfortably seat five passengers in the back and one in the front. 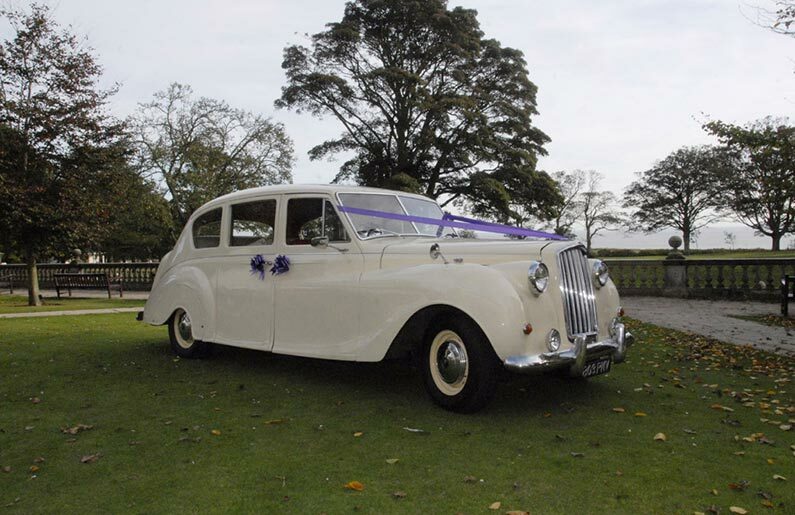 With the fold away seats not in use, it will take any size of wedding dress with ease. By the time this car was made the Austin badge had been discontinued allowing the cars to be sold from both Austin and Morris dealerships. Fantastic service from Tim and his team, kept us informed all the time. 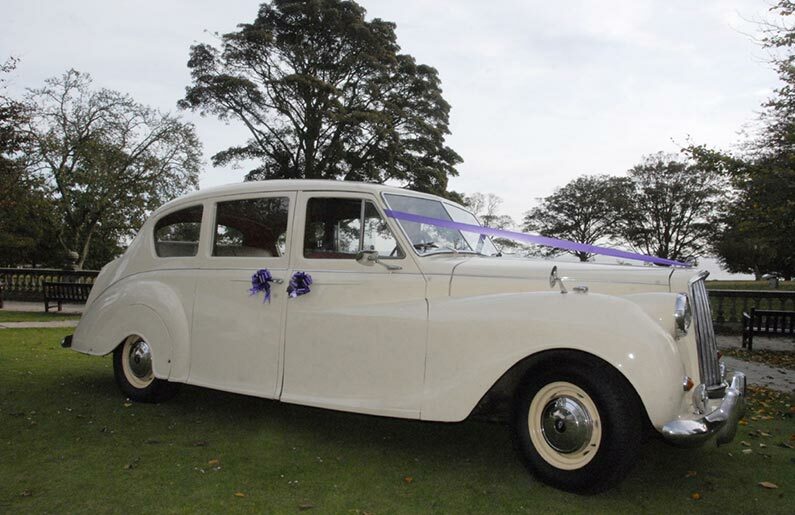 The cars looked fantastic, would recommend highly.